Rates and availability are 100% up to date and your booking will be instantly confirmed. The property's availability that you have requested needs to be confirmed. We will contact you within 24 hours. Byron Bay Accom is Byron Bay’s comprehensive Accommodation Guide, with over 200 options to choose from including hotels, beach houses with ocean views, apartments, luxury resorts, guesthouses and many budget accommodation alternatives including cabins, cottages, backpackers and motels. 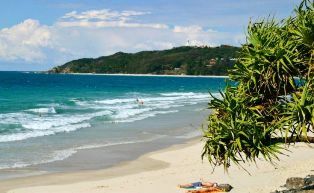 Byron Bay is the most easterly point on the Australian mainland, famous for surfing, alternative lifestyles and eco tourism. 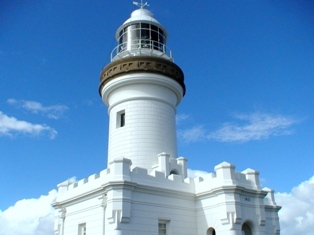 Popular activities include a whale watching from the lighthouse with its magnificent panoramic views. Byron is also Australia’s best known regional pampering and alternative healing centre, so when you stay in our Byron Bay Accommodation you can experience the wonderful range of spas, massages, natural medicines or spiritual healing. Byron Bay also has great cafes and restaurants, clothing and local artworks. There are markets in the region every weekend, with the Byron Bay markets on the first Sunday of every month offering an abundance of local handicrafts and locally grown products. Byron Bay Accom is the largest accommodation booking service in the area with a great range of accommodation from budget to luxury, last minute deals and other discount accommodation.